Here's an interesting partnership between tech and food. Domino Pizza is working with what3words.com to deliver pizza to non-traditional addresses. Let's find out what that means. Why, and how, it is revolutionizing not only pizza delivery but worldwide food logistics? You're in the park with your friends, and you'd like to order a pizza to round out the picnic. Until now, this was almost impossible. "Yes, we'd like a pizza delivered to the third tree left of the playground," is not a practical instruction that a delivery driver can follow. Enter what3words.com. 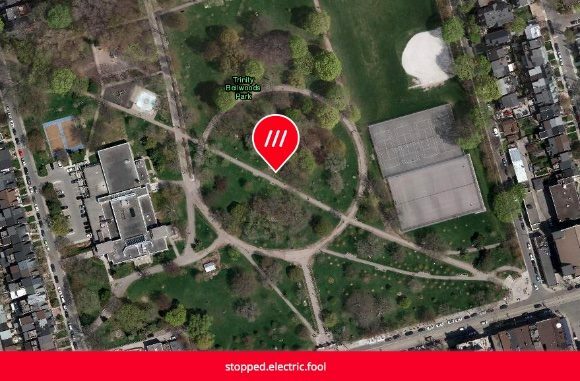 What 3 Words divided the world into a grid of 3m x 3m squares and assigned each one a unique 3-word address. It means anyone can find any location on the planet and share it with less ambiguity than any other system. The service is useable via the free mobile app or online map. It can also be built into any other app, platform or website, with just a few lines of code. Which btw, for a marketing agency that believes in the power of research, is an awesome address. For our pizza delivery example, let's go back to nearby Trinity Bellwoods Park. We're still hungry and have ordered our pizza. Delivery instructions are as simple as "Please deliver to stopped.electric.fool." This accurately describes a 3 x 3 metre square in which we're sitting, and ten minutes later a hot pizza arrives. Genius, and all thanks to thinking about destinations in a non-traditional way. Domino's is currently testing the system on the Caribbean island of Sint Maarten. There, it has resulted in significant reductions in delivery times. You can read the full story on the What 3 Words blog. For food logistics, this opens up benefits far beyond the convenience of fast food delivery. Much of our food is grown in places where traditional addresses do not exist. Being able to direct traffic to the exact corner of a field or plantation where it is needed is a huge benefit.